SLIDE TOPPERS ** KING SIZE BED ** EXTERIOR KITCHEN! If you&apos;re in the market for a front kitchen 5th wheel, then let me introduce you to the brand new 2018 Forest River Sandpiper 38FKOK! This is an absolutely beautiful 5th wheel inside and out! It has a huge front kitchen with the refrigerator in the center front, a large pantry on the left side and an overhead microwave on the right. It has a slide on the off door side with a (3) burner cook top, plenty of solid surface counter tops. The slide on the door side has a large buffet and it has a kitchen Island with sink and more storage. It also has a dinette with (2) bar stools that face the TV which is really cool! The lounge area is very spacious because of the (2) opposing slides. It has (2) opposing hide-a-bed sleeper sofas which is very nice for cross conversation seating and Theater seats which face the TV perfectly! Below the TV is the electric fireplace. This is a very nice living area! It has a huge side aisle bathroom with a walk in shower with a built in seat and glass enclosure, a porcelain foot flush toilet, sink with underneath storage, a lighted medicine cabinet and a large closet that&apos;s prepped for a washer and dryer. In the rear of this 5th wheel is a massive master bedroom with a king bed slide on the off door side and across from that is a super nice entertainment center with built in cabinets on both sides! In the rear is wardrobes across the entire back wall! Again, it&apos;s a great floor plan and we will have the absolute lowest Sandpiper prices in the Country! Here&apos;s a list of options that were ordered on this 2018 Forest River Sandpiper 38FKOK. The interior color is Beige. It has the "Premium Plus" package, the "Sandpiper Signature" package, the ever popular (6) point auto leveling, an electric fireplace, (4) door refer, the dual 15K BTU A/C system, a Fantastic fan with rain sensor in the kitchen, the slide topper package, a central vacuum system, the R-38 insulation upgrade and the King size bed! If we can help or answer any questions, please feel free to call us, 888-299-8565 and ask for sales! You can also email us at rvoutletusa(at)yahoo and our direct website is RV007(DOT)COM. Please keep in mind we have great financing and we offer our customers huge discounts on 5th wheel hitches, parts and accessories, plus we have NO doc or prep fees like most other dealers! Give us a call....we will save you thousands! Save thousands of dollars on every RV we have in stock! Visit RV007.COM or call 1-888-299-8565 for our EVERYDAY low sale prices that have made us the #1 RV Dealer in Virginia for 10 years running!! 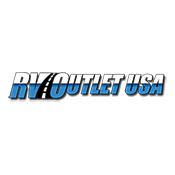 RV OUTLET USA is a family owned business and the East Coast's largest 5th wheel and Toy Hauler dealer! We always have a huge selection and we sell our RV's at huge discounted prices! Whether you're in the market for n ultra lite travel trailer, or a high end 5th wheel for full timing, we carry the best brands at the absolute lowest prices. We have a full service center that's open Monday through Saturday and do same day deliveries. We will work extra hard to earn your business! Our Heartland brands are Cyclone, Road Warrior, Torque, Big Country, Bighorn, North Trail, Trail Runner, ElkRidge, Sundance and Greystone. Our Forest River brands are: Sandpiper, Wildcat, Cedar Creek, Rockwood Signature Ultra Lites, Wildwood, XLR and Work and Play Toy Haulers. Our Keystone brands are Raptor, Fuzion, Montana, Montana High Country, Cougar, Passport, Passport Elite, Springdale and Summerland. Our Cruiser RV brands are: Fun Finder X, Fun Finder Xtra Our Thor Motor Coach brands are: Four Winds class-C motor homes. WE ARE TOY HAULER SPECIALISTS! WE NOT ONLY SELL THEM, OUR PERSONAL UNITS ARE TOY HAULERS, SO WE KNOW WHAT MANUFACTURES HAVE THE BEST PRODUCTS AND THE BEST FLOOR PLANS. DON'T MAKE A MULTI THOUSAND DOLLAR MISTAKE, GIVE US A CALL, WE WILL BEAT ANY DEALERS PRICES ON SAME UNIT! WE ALSO OFFER NATIONWIDE DELIVERY AND NATIONWIDE FINANCING WITH THE LOWEST RATES AROUND!!! Our main goal here at RV Outlet USA is to be the East Coast's price leader on these brands. We will try not to be undersold by any other dealer in the US!!! We keep lots of inventory for immediate delivery. We do not charge for pre-delivery inspections.. Compare our prices and you'll see... Stop by and you'll see why our low prices and customer satisfaction makes us the East Coast's #1 RV dealer!! !